Could Your House Be Contaminated with Asbestos? Asbestos, a group of naturally occurring minerals, has been extensively used in numerous industries until the 1980s, when the hazardous heath effects of prolonged exposure were finally confirmed by several government agencies. Nowadays, asbestos is deemed carcinogenic and its correlation with terminal conditions such as lung cancer and mesothelioma is undeniable. Do You Risk Asbestos Exposure during Spring Cleaning? 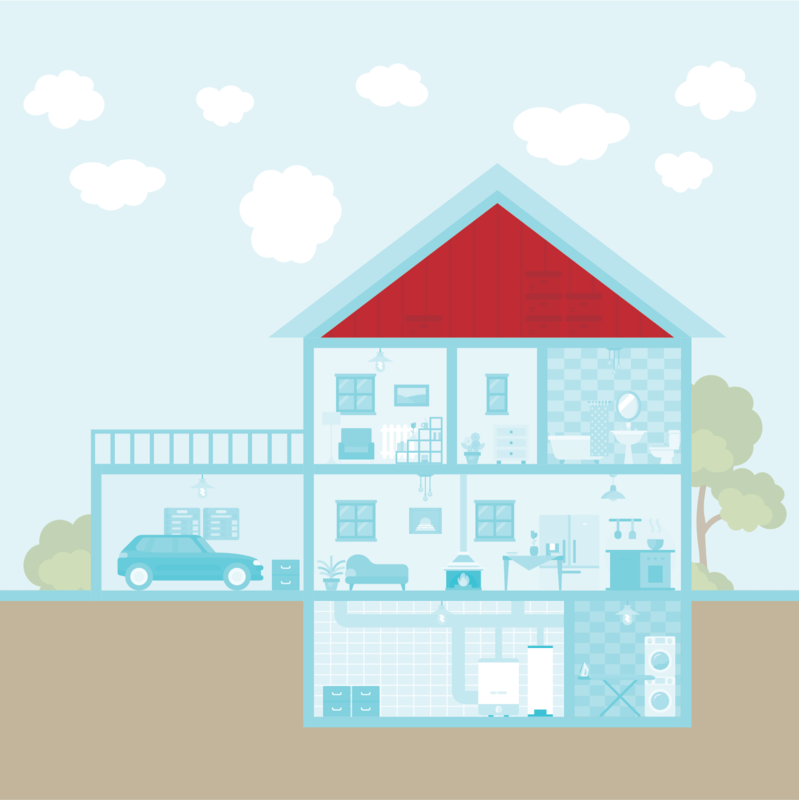 Can I Rent a House with Asbestos? Is There Asbestos in Your Bathroom? Does Your Tape Have Asbestos in It? 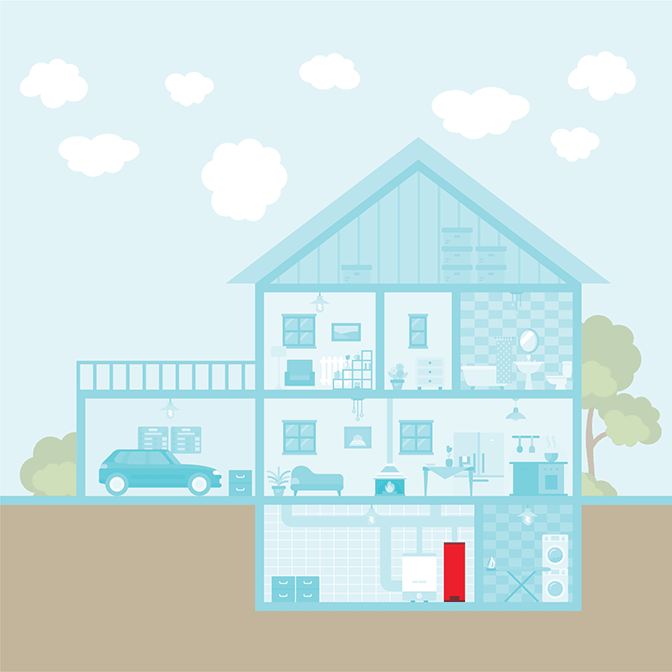 Testing common products in your house for asbestos, especially if the building was erected before the 1980s, is crucial. 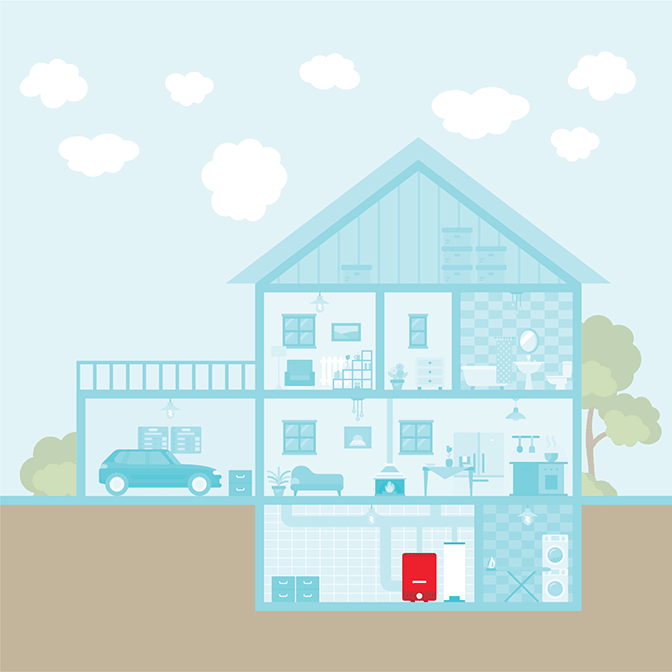 If the carcinogen is indeed present in your home, abatement is subsequently required to completely remove asbestos from the building and ensure your family’s well being. 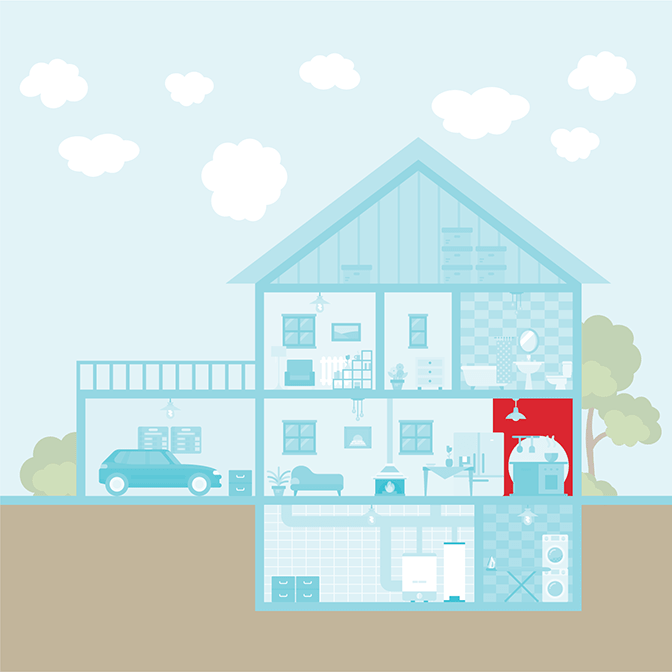 Attic insulation was one of the most common asbestos-containing products before the 1980s. Because it is friable, asbestos fibers can be released into the air with the slightest disturbance, including by wind or ventilation. This type of insulation is extremely dangerous, as it contains high concentrations of asbestos, and should only be removed by a certified abatement company. The risk of exposure is tremendous and it is highly recommended to use a dust mask if you are going to spend any time in the attic. Both ceiling tiles and spray-on popcorn ceiling treatments may contain asbestos. Due to its remarkable fire resistance, low cost and accessibility, asbestos was a very convenient building material which has been added in thousands of products during the last century. If ceiling tiles and popcorn ceiling treatments are not disturbed by remodeling operations, the risk of exposure is minimal. However, if these products are damaged, fibers will be released in the air where they can easily be inhaled. If you plan to renovate your house, it is strongly advised to have ceiling products removed by a professional company beforehand. Wetting down the surface will also reduce the amount of released asbestos fibers. 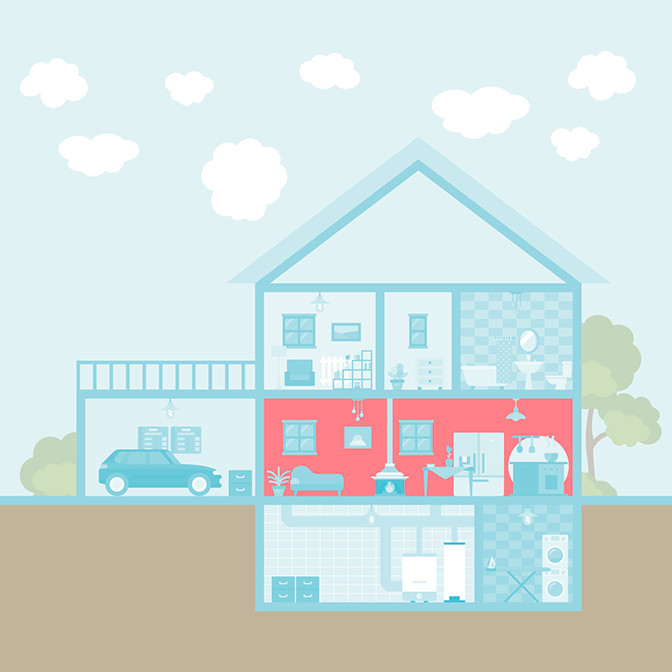 If you live in a house built before the 1980s, there is a good chance your walls contain asbestos. 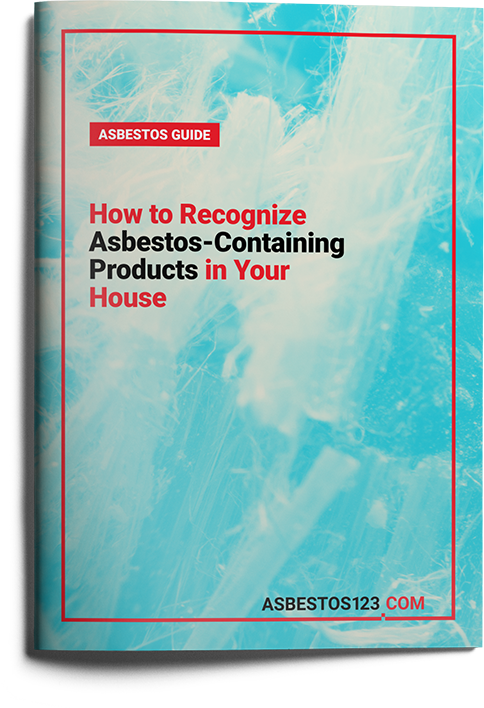 Because fibers are highly processed prior to being added to building materials, you cannot tell whether a product contains asbestos just by looking at it. Only a certified testing company will be able to identify it by conducting a thorough analysis. Nevertheless, it is better to be cautious and avoid unnecessarily disturbing walls which may contain asbestos. 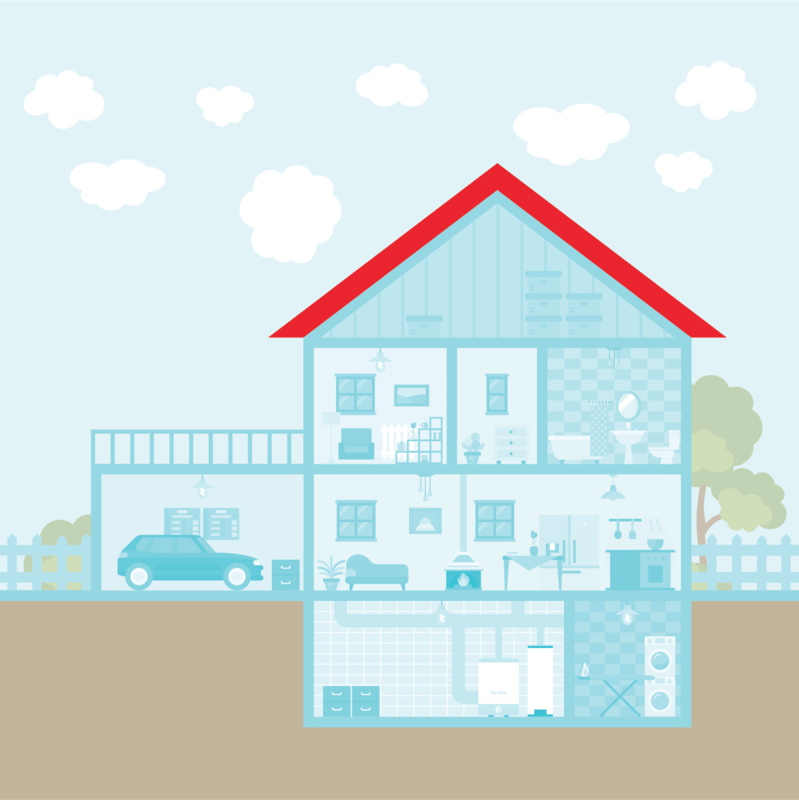 Remodeling operations should not be performed until all asbestos-containing products are properly disposed of by a professional abatement company. When it comes to wood burning stoves, asbestos can be found in the ducts, the insulation and the flue, as well as in various components of the stove itself such as door gaskets. As for gas fireplaces, these toxic minerals may also be present in artificial ashes and embers. The risk of exposure is quite serious, as asbestos-containing products in wood burning stoves and fireplaces will gradually be damaged by the heat, which will eventually make them friable. If you suspect your stove or fireplace has asbestos, we strongly encourage you to send us a sample for testing and subsequently have a team of professionals remove it, if necessary. Garage roofs, walls and doors may contain asbestos as well. Similarly to other products, the mineral fibers would be added to these building components to ensure a greater durability and fire resistance. 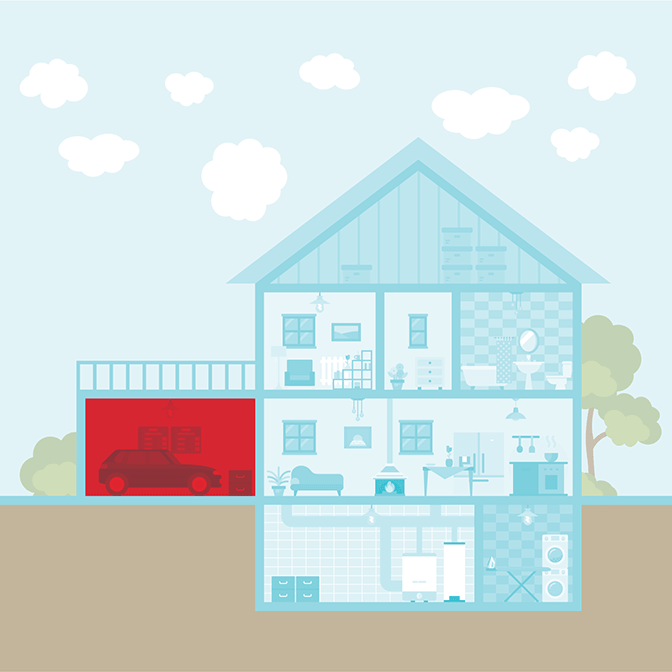 Aging results in asbestos-containing garage parts becoming friable and for this reason, you should avoid disturbing suspicious products to prevent exposure. While disposing of the walls and roof requires a competent asbestos abatement company, your old garage door can be replaced more easily. However, it is preferable to have a professional do it. Cement siding manufactured before the 1980s may also contain asbestos. Fibers would be added to cement in order to prevent it from breaking or cracking, as well as to fireproof it. Stucco, a building material originally made with sand, water and lime, has started to contain asbestos in the 1920s. Similarly, it would be used to increase the product’s strength. Undisturbed materials do not pose a serious threat. Nevertheless, old products will gradually become friable and professional removal is necessary to safely dispose of them. Asbestos was incorporated in the manufacturing of drywall to enhance the product’s resistance and to make it more sound absorbent. Drywall entails a particularly increased risk of exposure if remodeling operations are performed, as even sanding could lead to a high amount of particles being released into the air. Therefore, we strongly advise you to not disturb asbestos-containing drywall in any way and to have it replaced with a safer alternative, if possible. There are multiple floor components which may contain asbestos, including vinyl floor tiles, sheet flooring and asphalt floor tiles. Vinyl flooring products have been manufactured with asbestos since the 1950s and soon became a very convenient choice for numerous home owners, as they were inexpensive and easy to install. The risk of exposure is relatively low as long as you do not disturb the products. You should not cut, sand or remove asbestos floor tiles. Due to the fireproofing properties of asbestos, toxic insulation was widely used before the 1980s to line the inner and outer walls of heating ducts. Additionally, a cloth made with asbestos would cover air handler vibration dampers and transite cement, a type of asbestos-containing cement, would also be employed around heating ducts. While the risk of exposure associated with these products is generally low, you should avoid disturbing them in any way. If you need to clean the heating ducts, wearing a dust mask and coveralls is mandatory to prevent exposure. However, it is preferable to hire a professional for this job as well. Asbestos may be present in the tank jacket placed around water heaters. The purpose of this type of insulation is to maintain a high water temperature for a longer period of time and thereby to save more energy. In the U.S., tank jackets were usually lined with white asbestos from Libby, Montana. Although the chances of being exposed to asbestos from tank jackets are generally reduced, old insulation is friable and should only be handled by professionals. We recommend you to not disturb asbestos-containing tank jackets in any way so as to prevent the release of fibers. Insulation materials manufactured between the 1860s and the 1980s contained asbestos in nearly all cases. Piping systems require great amounts of insulation, as they are constantly exposed to extreme temperatures, and asbestos lining would provide the necessary protection. If you live in a house built within the above mentioned timeframe, it is very likely that your piping system is insulated with asbestos. As long as you do not disturb it, the risk of exposure is minimal. 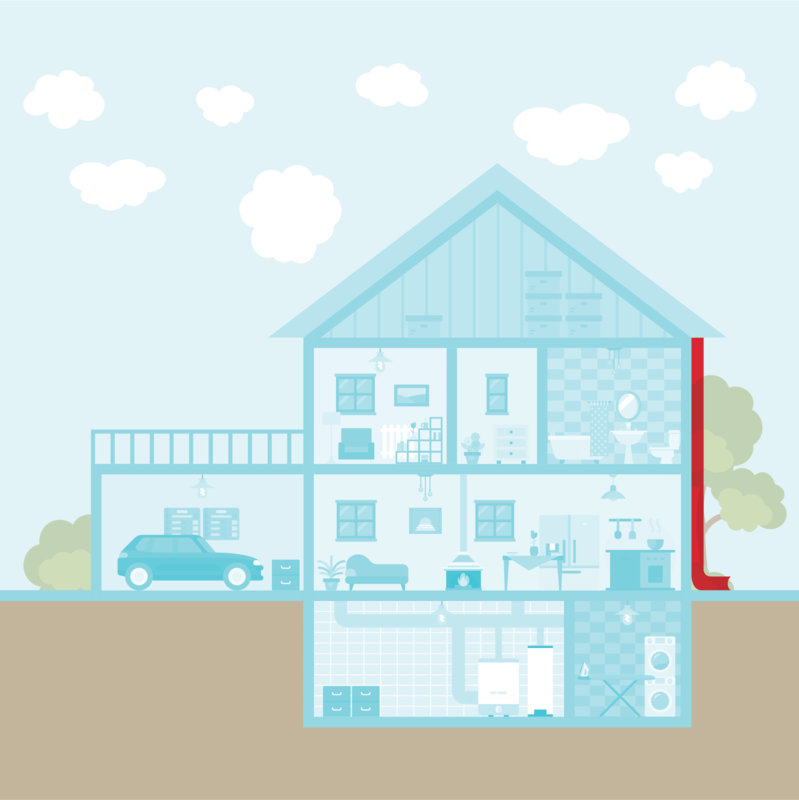 Nevertheless, because old insulation is usually brittle and toxic particles can easily become airborne, we highly advise you to wear a dust mask if you need to be in the proximity of asbestos-lined pipes. Similarly to water heaters, asbestos insulation has been widely used for all types of boilers throughout the past century. Boiler pipes were protected with a layer of asbestos to prevent fire and lower energy costs. 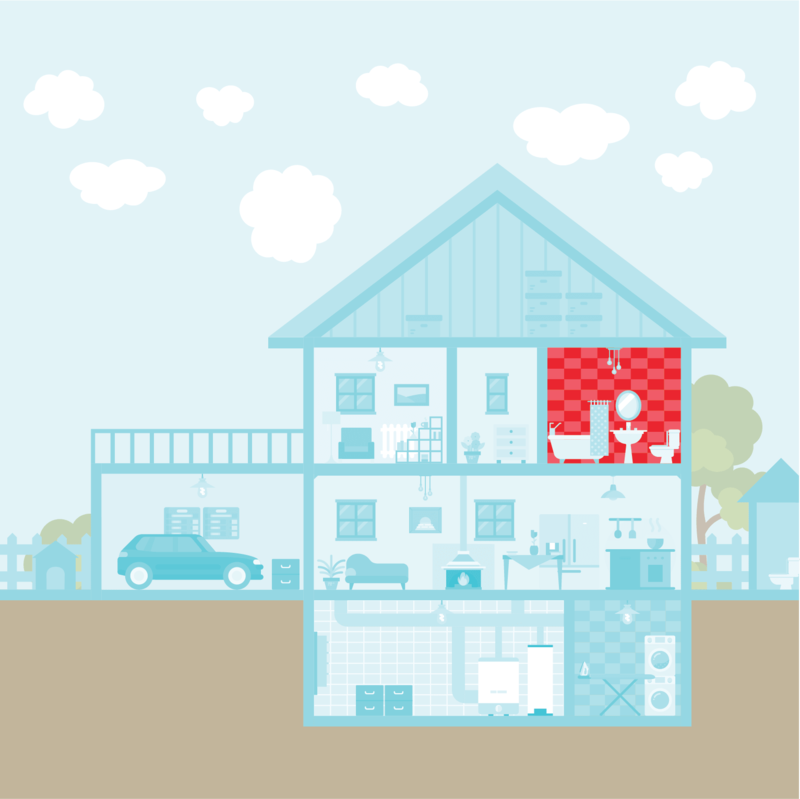 You should never attempt to remove insulation by yourself, as the risk of contamination is very high. 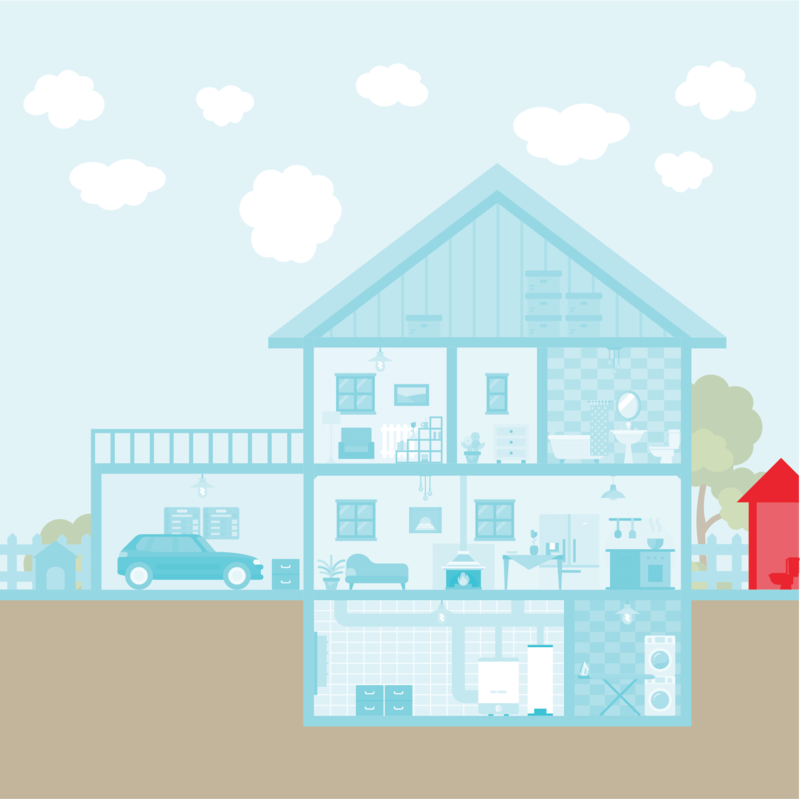 If you suspect your boiler insulation contains asbestos, we highly encourage you to send us a sample for analysis. Information about the sample collecting process can be found in our free guide. Transite is a composite fiber cement material which was first manufactured in 1929. It could contain up to 50% asbestos. Transite was mostly used for roof shingles, plumbing, chimneys, HVAC systems and siding. Nowadays, there are numerous houses in which this building material is still present and while it is generally deemed safer than other products, you should avoid unnecessarily disturbing it by drilling or sawing. Textured paint and coating products had been manufactured with asbestos in the U.S. until 1985. Asbestos was a surprisingly common ingredient due to its fireproofing properties. Fibers would also increase the products’ resistance, preventing paint from cracking and flaking off. In most cases, asbestos-containing textured paint and coating products do not entail a serious health hazard. However, when damaged, the risk of fibers becoming airborne is considerable. To prevent exposure, you can either seal it up with a special resin polymer while wearing a dust mask or have the material professionally removed. Asbestos may also be found in faux brick wall cladding, which is often used to conceal a building’s exterior damages and signs of aging. Even though new products rarely contain asbestos, old faux brick wall cladding are very likely to have been manufactured with it to enhance the material’s strength and to fireproof it. Similarly to most asbestos-containing products, you cannot detect toxic fibers with the naked eye. Therefore, if you believe the faux brick wall cladding covering the outside of your house has asbestos, we advise you to send us a sample for a free analysis. Roofing products were some of the most popular building materials produced with asbestos during the last century. Because they have a great life expectancy of 30 to 50 years, asbestos-containing roofing products can still be found in a large number of buildings erected before the 1980s. Shingles, patching compounds, flatsheet, asphalt impregnated felt and corrugated sheets are only a few of the roofing products manufactured with asbestos. Provided roofing products are not disturbed, the risk of exposure is relatively low. If you plan to remove any of the materials mentioned above, it is always recommended to opt for the services of a certified company, as fibers will certainly become airborne during the procedure. Asbestos could be present in adhesives and mastics, too. Fibers were added to increase the products’ strength and ability to bind building materials such as floor or ceiling tiles to various surfaces, as well as to ensure their resistance to extreme temperatures. 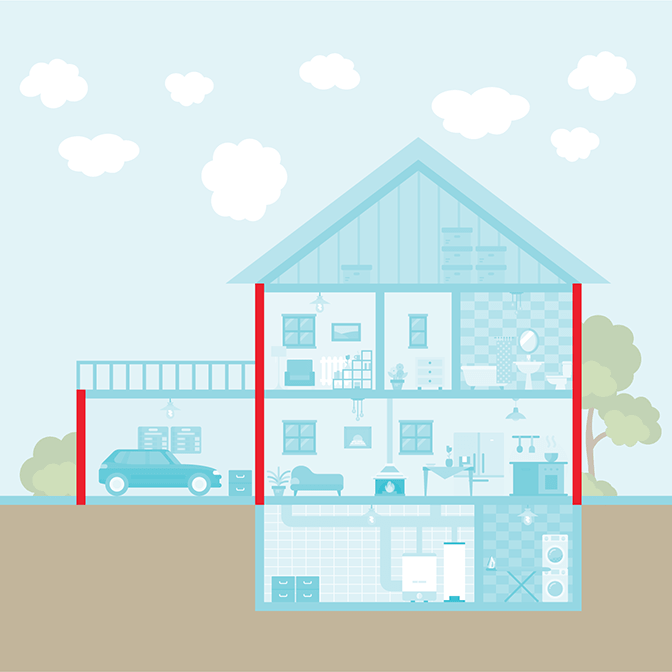 Even though asbestos-containing adhesives do not usually represent a serious health threat, particles may be released into the air if the building materials bound with these products are disturbed. It is recommended to wear a dust mask during remodeling operations if your house was constructed before the mid 1980s. Vinyl wallpapers manufactured prior to the 1980s are very likely to contain asbestos fibers. Asbestos has been used in this product ever since the 1920s and can still be found in numerous homes. While the health dangers are not as high as the risk entailed by other products, you should avoid disturbing or removing wallpaper which might contain asbestos. If you plan to dispose of it, you should hire a team of professionals in order to prevent further contamination. At least one asbestos-containing product is typically present within the ventilation systems of old houses, be it a paper heating duct wrap or a vibration damper. Furthermore, ventilation ducts themselves might contain this carcinogenic mineral, since the cement they are made of would commonly be strengthened with asbestos before the mid-1980s. By virtue of the excellent thermal resistance it has, asbestos rapidly became the material of choice when it came to HVAC systems. 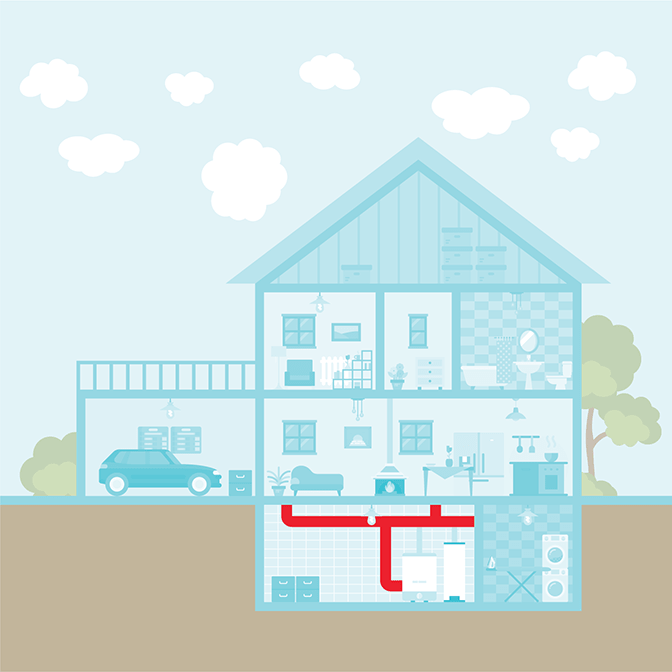 It might also lurk around reheating banks or coils throughout the ductwork in the form of insulation. Asbestos in ventilation systems is particularly dangerous, as the air circulation they are responsible with can easily turn it into a health hazard. Asbestos can also be found in structures adjacent to the house, such as sheds and outside toilets. There are numerous asbestos-containing materials which might be present in these places, some of the most common being cement roof sheets, insulation, asphalt floor tiles, paint, and wall panels. As a general rule, if the shed or external toilet nearby your home was built before the mid-1980s and has not undergone any major renovation, chances are it has one or multiple asbestos products. Nevertheless, it is important to know that as long as the material you suspect contains asbestos is in good condition, removal is rarely necessary. Since it cannot release toxic fibers in the air, the risk of exposure is minimal. It is not uncommon for old houses to have a dog kennel nearby. Considering how astoundingly prevalent asbestos was before 1980, when consumption slowly began declining by virtue of increasingly widespread public awareness concerning the dangers of exposure, it should not come as a surprise that this hazardous mineral may also lurk in old dog kennels. The inhalation of asbestos fibers can seriously affect dogs, which might even develop mesothelioma as a result of exposure. 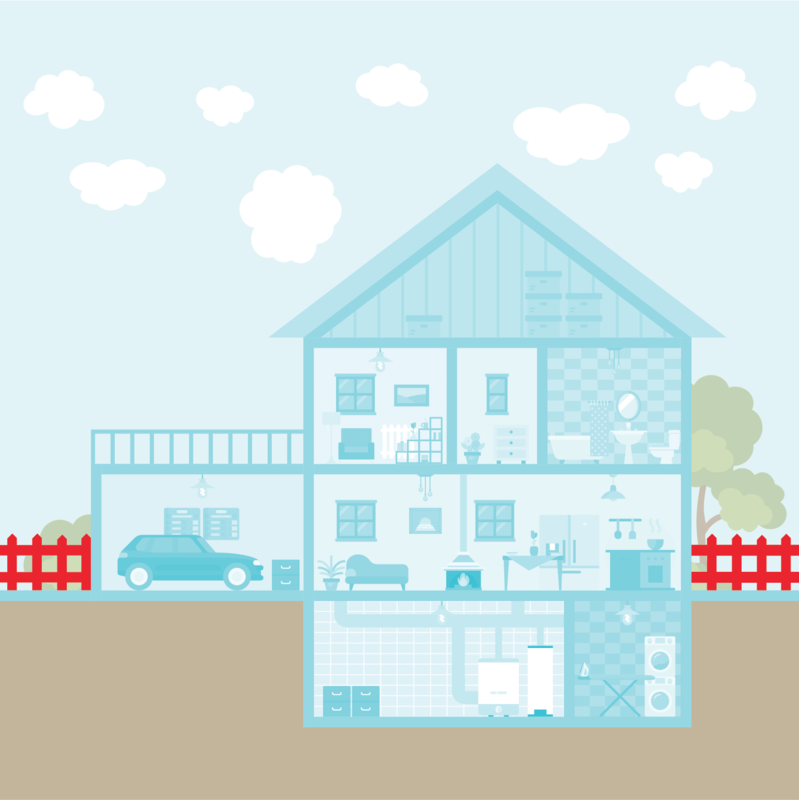 Asbestos may exist in the insulation, roof, and walls of dog kennels. If you have a dog kennel which might contain asbestos, not allowing your pet to use it or, even better, disposing of it is crucial to protect your companion’s health. Electrical meter boards are one of the over 5,000 products which would customarily contain asbestos before 1985. More specifically, asbestos is found in the bituminous compound or resin making up the backing of old electrical meter boards. In addition to the age of your house, another tell-tale sign that the backing of your electrical meter board contains asbestos is color – if it is black, chances are it contains asbestos. Furthermore, if you notice a smell of bitumen or tar, this might also indicate the presence of asbestos. As electricians would often drill holes in these boards, there are probably asbestos fibers inside it, which can easily become airborne. The cement sheet behind it is likely to have asbestos as well. Certain moldings adorning the outside corners of old houses might contain asbestos, which was the go-to raw material for the construction industry before the mid-1980s. External angle moldings made of plaster are most likely to have asbestos. While asbestos has numerous practical applications within the construction industry, it would be added to molding plaster with the purpose of enhancing the material’s durability. Although non-friable asbestos products entail a low risk of exposure due to the fact that carcinogenic fibers are tightly bound in their matrix, aging and damage can take a heavy toll on their condition. Therefore, damaged asbestos-containing plaster moldings might pose a serious threat to your health. This building material, which was created at the end of the 19th century, contains 90% cement and 10% asbestos fibers. While it certainly has plenty of convenient properties, such as light weight, fire resistance, water tightness, and low cost, corrugated asbestos cement roofing can easily turn into a health hazard over time. As a consequence of aging and weathering, the material becomes more and more brittle with each passing year, which increases the risk of asbestos exposure to a great extent. In the United States, corrugated asbestos cement sheets were very common on the roof of residential buildings starting with the 1920s and their popularity remained steady until well into the 1970s. Cement guttering is a component of water discharge systems placed at the eaves of the roof pitch. The vast majority of cement products had been manufactured with asbestos for the better part of the last century and gutters make no exception. In addition to entailing a series of nuisances, such as leaking, cracking, and being susceptible to debris build-up, asbestos cement guttering might also pose a significant health threat to you and your family if you inhabit a house built before the mid-1980s. Similarly to most asbestos products, it has a tendency to become increasingly friable over the years, which facilitates the release of toxic fibers in the surrounding environment, where they can subsequently be inhaled. Other components of water discharge systems which might contain asbestos are downpipes, which carry rainwater from the roof gutter to the ground. When they are made of cement and belong to a house built before 1985, they most likely have asbestos. If asbestos is present in the downpipes on your house, it is safe to assume the entire water discharge system contains this carcinogenic mineral. Since weathering inevitably wears out cement, the risk of asbestos fibers escaping from the matrix of the material and becoming airborne increases. Therefore, if your home has old downpipes which are in poor condition, you may want to consider removing them along with the other components of the water discharge system. The most common type of fence in which asbestos might lurk is made of corrugated cement sheeting and was put up before the mid-1980s. Nevertheless, there are many other signs by which you can determine whether a fence contains asbestos, such as color and thickness. Accordingly, most asbestos-containing fences are gray and approximately 7-millimeter thick. Furthermore, although this is by no means a definitive indicator, the number of ridges a corrugated cement sheet has might also offer a clue when it comes to asbestos. In general, if it has more than 5 ridges, the product likely contains asbestos. Finally, if you can trace a visible mark by gently scratching the surface of the fence, this also points to the presence of asbestos. Tilux is a trade name which refers to multiple asbestos-containing cement products, two of the most popular being splashback and wall panel. While it is no longer manufactured nowadays, Tilux marble finish wall panel can still be found in houses built before 1987. The rooms this potentially hazardous building material might lurk in include the dining room, the bathroom, the kitchen, as well as the laundry room. In the absence of a decipherable label, the presence of a stainless steel strip between the sheets of the product is a reliable indicator that the marble finish wall panel in your home is Tilux and thereby contains asbestos. Some of the tell-tale colors of Tilux cement products are blue, green, pink, and gray. As it was unprecedentedly widespread as a raw material within the construction industry during the 20th century, asbestos is often found in the moldings which embellish the internal corners of old residential buildings. It is worthy of note that asbestos is primarily encountered in moldings made of plaster, to which it would be added with the purpose of improving the quality and durability of the final product. The age of the building is usually a good indicator if you are trying to determine whether the moldings in your house contain asbestos. While the existence of asbestos is very likely in homes built before 1985, most constructions which came into being after this year are asbestos-free. Not only can asbestos lurk in vinyl sheet flooring, but the backing material underneath this product is also very likely to contain it if the building was put up before the mid-1908s. In addition to significantly increasing the strength of backing material, the toxic fibers would provide excellent insulation as well. As long as the backing of vinyl sheet flooring remains undisturbed, the risk of asbestos exposure is low. 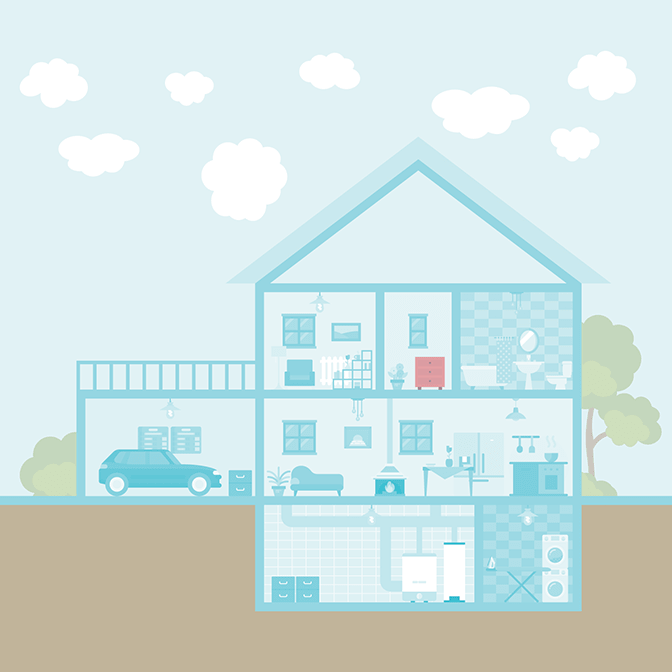 Removing the flooring, however, will unavoidably lead to contamination, since the backing material – which became considerably friable over time – is bound to release carcinogenic fibers in the air. As one of the most popular building materials which would contain asbestos during the last century, insulation is also found around old wood-burning stoves and heaters. Depending on the type of stove or heater you have, multiple asbestos products might serve as insulation, such as cement sheet, asbestos paper, millboard, spray-on insulation, and asbestos tape. 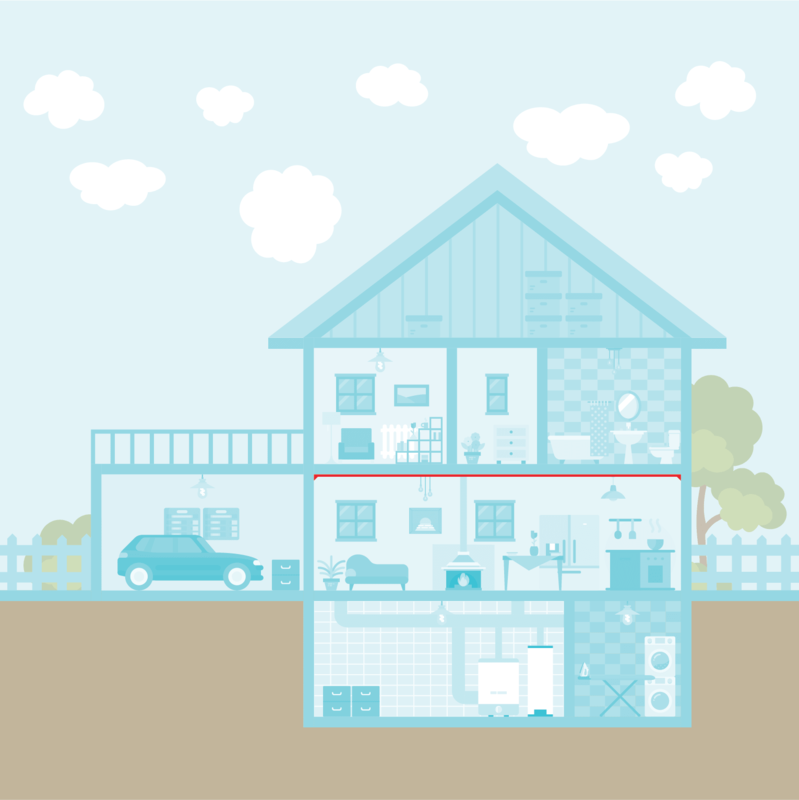 Over time, insulation becomes friable, which greatly increases your risk of asbestos exposure. Because toxic fibers can come off the product with the slightest disturbance, it is highly recommended to dispose of insulation in wood-burning stoves and heaters by having a certified asbestos removal company take care of the potential hazard. You can find information about the most common household asbestos-containing products and learn how to properly collect samples. We will conduct a thorough analysis in order to provide you with the most accurate and reliable results. 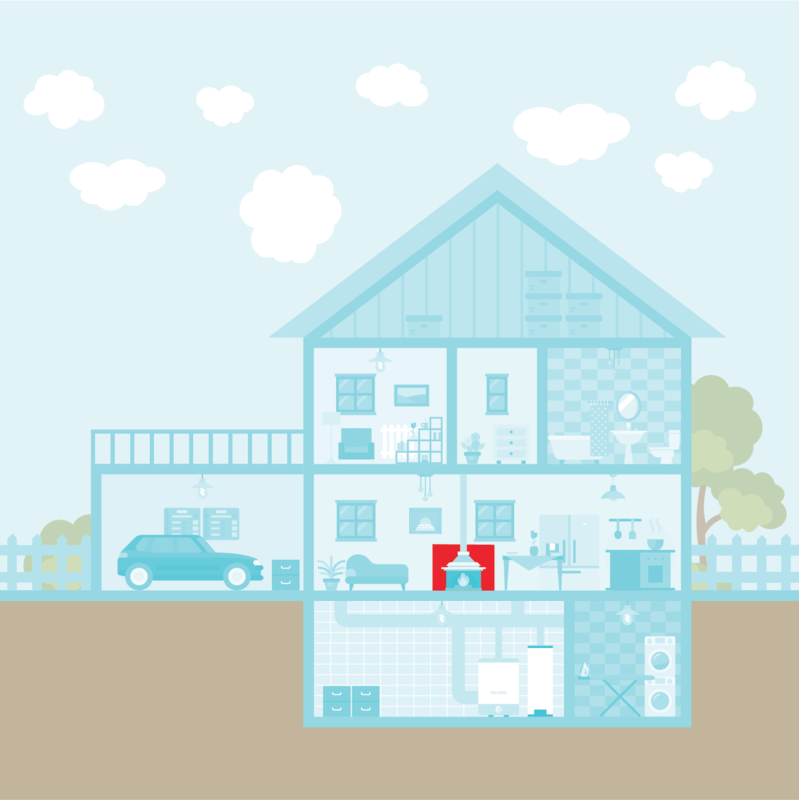 A certified asbestos removal company will be able to safely and efficiently dispose of all asbestos in your house.